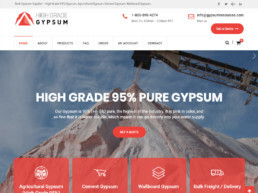 Gypsum Resources (High Grade Gypsum) provides the agriculture, cement, and wallboard industry in bulk with the Highest Quality Gypsum available on the market. They mine their own gypsum in Las Vegas to distribute throughout USA and export worldwide. With focus on bulk supply to the farming, cement and wall board industries they are a leader in quality. 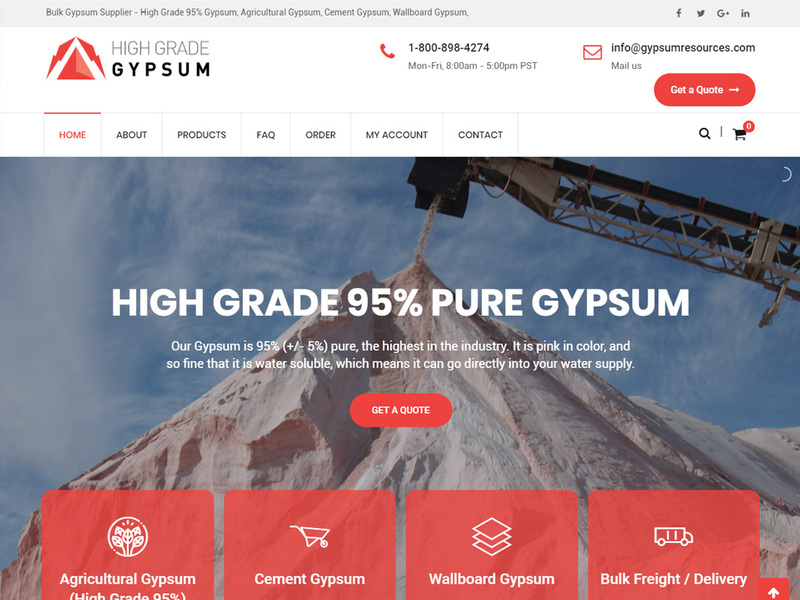 ClientGypsum Resources (High Grade Gypsum)ServicesApplication Development, Web & Infrastructure Hosting, Web Design, Web Development, E-Commerce, Promotional Design, Marketing Strategy, Branding, Search Engine Optimization, Social Media Marketing, and more.